 First-Year Radiologists Making $350,000 - ONRAD, Inc. Diagnostic Imaging | The median starting salary for diagnostic radiologists in 2010 was $288,000, according to the just-releasedPlacement Starting Salary Survey: 2011 Report Based on 2010 Data from the Medical Group Management Association. Primary care physicians received a median first-year guaranteed salary of $165,000 in multispecialty practices and $172,400 in single specialty practices. In general, the survey shows that multispecialty practices pay more than single-specialty practices. Since 2008, both primary and specialty-care physicians have seen their first-year guaranteed compensation increase or stay the same — despite a general impression of falling practice revenues. In addition to first-year guaranteed compensation, newcomers are offered benefits such as signing bonuses, loan forgiveness, and amount of paid relocation expenses. Fifty-six percent of physicians received signing bonuses as part of their employment offers. Twelve percent of physicians received loan forgiveness packages as part of their employment offers, most of which were $50,000 or less. Over half (56 percent) of physicians also accepted paid relocation packages with their employment offers. MGMA’s survey includes data on 4,295 providers as well as starting salary information on 1,986 physicians directly out of residency or fellowship.